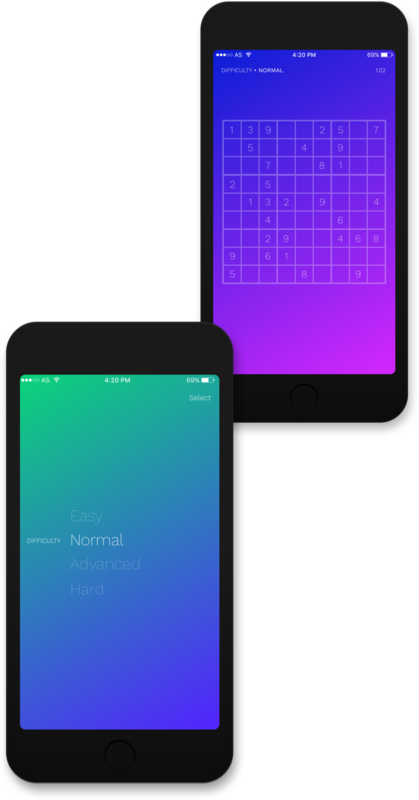 In late 2014 I decided to take some time and try to build an iPhone app for myself. 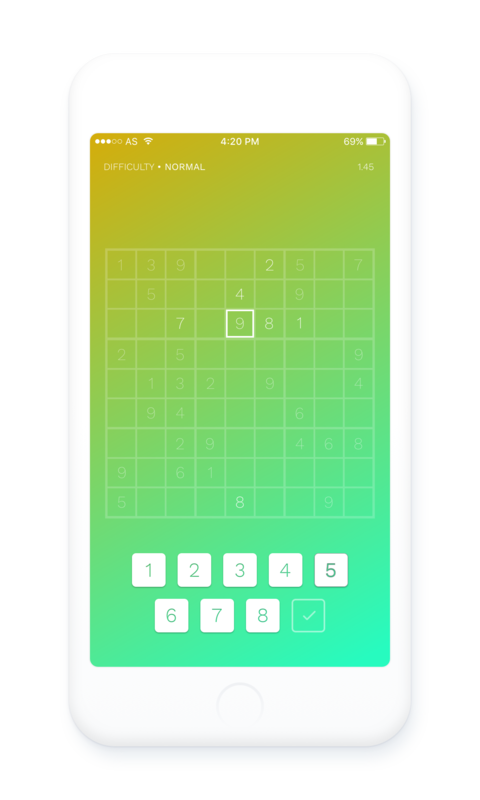 I’ve been an avid player of Sudoku since I was in high school, so I decided to make a soduku app that I always wanted. I used this project as a means for me to better learn Swift as a programing language and to allow me to become more familiar with mobile engineering and coding in general. This project was never released to the public. This also allowed me to work on something I had never done as a visual designer, focusing on a very simplistic application. And also allowed me to focus more so on the visual aspects, since the game experience is fairly well defined.